Unfortunately, this situation can occur to anyone at anytime. It’s very exciting for a seller when someone makes an offer on their home. Whatever the reason is for selling, the objective is to sell the home in a reasonable amount of time and as close to the asking price as possible. A sale that doesn’t end up at the closing table represents a lot of wasted time and effort for everyone involved and can be a big emotional letdown for the home owner(s). This is not an uncommon occurrence in the world of real estate but why does it happen? Here are the most common reasons why a home sale simply “goes bad”. This is a term that we’ve all heard before and it does occur in the world of real estate. The bottom line is that the buyer(s) simply get “cold feet” and decide to back out of the deal. Every state has laws governing how long the buyer has to change their mind and be able to have their deposit returned. Some buyers become so nervous that they will actually forfeit any earnest money they may have presented just to cancel the deal. The best way to avoid this from happening to you is to use the services of an experienced real estate agent in your area. He/She will know the signs of a nervous buyer and might be able to avoid this type of situation although no one can guarantee that this will not occur. Nothing will stop the sale of a home quicker than a wet basement, leaky roof, malfunctioning HVAC system or structural damage. Obviously no one wants to buy someone else's problems and if a home is not in good repair it can be extremely difficult to sell it. Buyer’s should understand that no existing home is perfect and should expect some repairs to be required. On the other hand, sellers should be sure that no major repairs are required unless the asking price is appropriate in consideration of the needed repairs. If this is not the case than the sale of the home is sure to fall through. Honesty is always the best policy. This is yet another fairly common occurrence for home sellers. What do you do when you receive an offer for $150,000 but the appraisal states that the home is only worth $139,000? One option is for the buyer to pay the difference in cash. Another option is to seek a new appraisal that is closer to the asking price or to attempt to change the appraised value by supplying comparable sales in the area to the underwriter. Naturally, if the seller simply agrees to sell the home for only the appraised value than the problem is solved but many times the seller is not willing to accept less in this situation. The bottom line is that a lender will not approve the loan for more than the appraised value of the home or property and this can be a “deal breaker”. There are many reasons that a buyer may not be able to obtain a mortgage loan but clearly, there can be no sale without loan approval or a cash purchase. Sometimes a buyer will unknowingly cause the home loan to be denied because they decide to buy a new car or finance some other purchase before the home loan has been approved. This can result in more debt than the lender is comfortable with and exceed the acceptable loan to debt ratio for the buyer. Anyone making an offer on a home should not incur any additional debt until after leaving the closing table. Most people cannot afford to own two homes at the same time and many buyers will do what is commonly referred to as a “contingency sale”. Simply stated, the buyer’s offer will state that they are not obligated to buy the new home if their existing home is not sold first. This is, of course, completely understandable and has been the cause of many failed home sales. 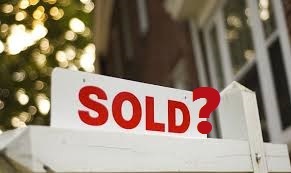 Sellers should be aware that this is a possibility if selling their home quickly is a necessity.